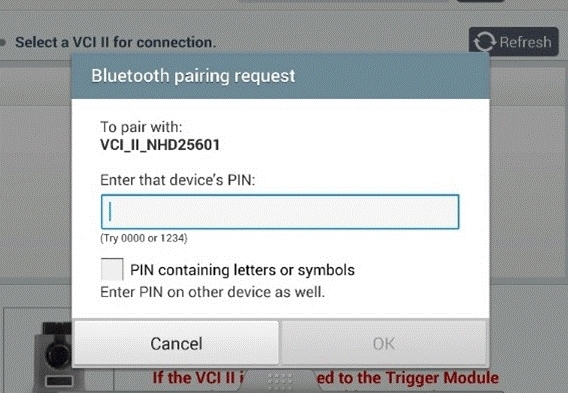 What is the VCI II PIN code? Due to the HMC/KMC policy, the PIN for VCI II connection has been changed. Enter the new PIN Code and tap "OK" button.